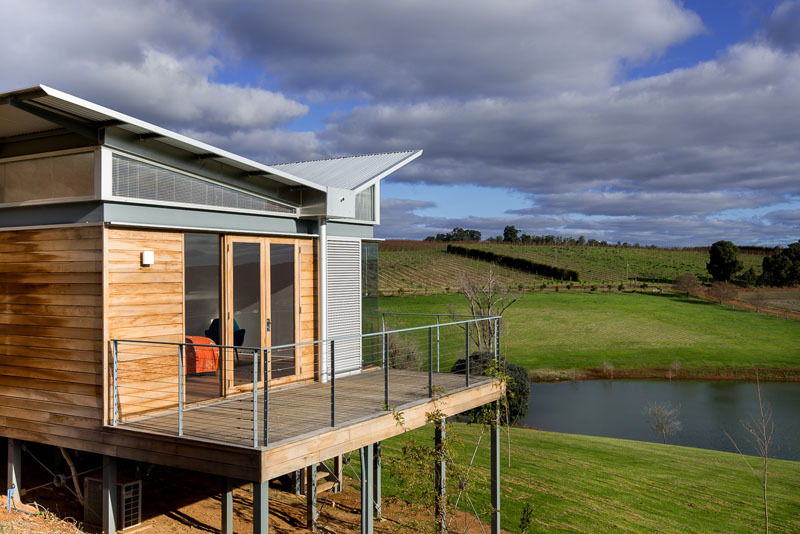 Designed to take advantage of the sweeping views of the valley below, this Australian weekender home designed by FINESPUN Architecture features a unique butterfly roof. 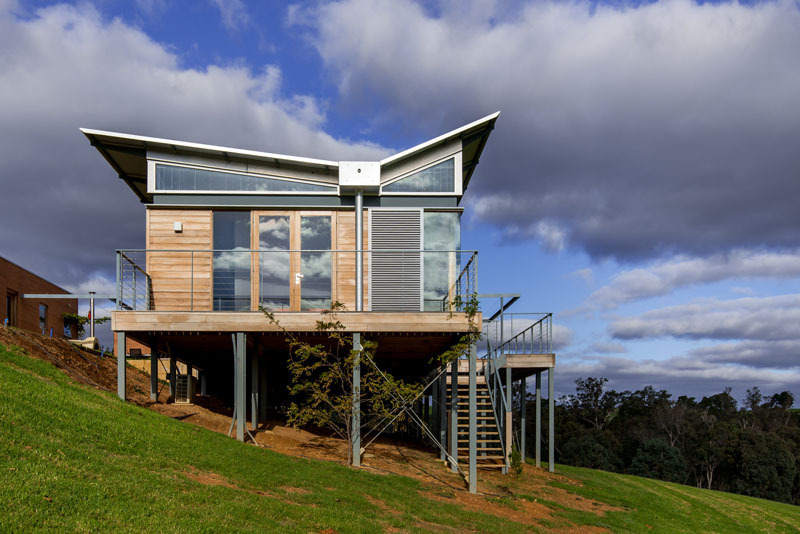 The two inverted slopes of the steel roof direct rainwater into the middle of the roof sending it down a pipe running down the side of the home. 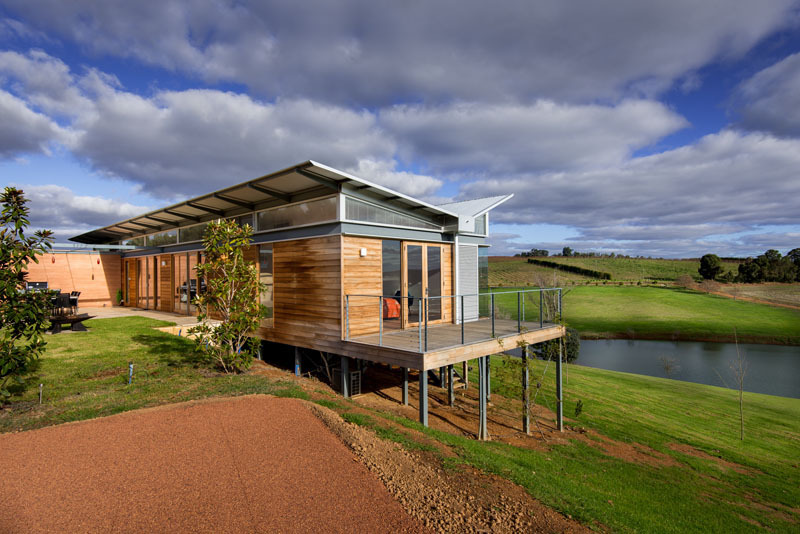 The clever design of the roof ensures that heavy rain won’t result in damage to the roof, and directs the water away from the foundation of the home.